How do I report a problem from brilliant CONNECT? Scroll to the bottom of the page and Tap “Report an issue”. Enter you email address in the email address field. Describe the problem in the text box, including the steps you took to encounter the issue. Providing more detail and screenshots, when possible, helps us find the problem. While we don't reply to every report, we may contact you for more details as we investigate. 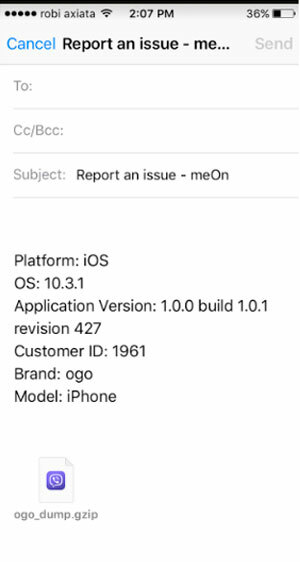 Reporting issues when they happen helps make brilliant CONNECT application better and we appreciate the time it takes to give us this information. If you are reporting something that’s not working, describe the problem at the bottom of the email, including the steps you took to encounter the issue.